The Onyx had the honor of being one of the most played bands in the early days of BBC Radio One. Over the course of 5 years the band recorded an endless array of studio sessions and Radio One Clubs. At the time the BBC was required to dedicate a certain amount of time to real musicians playing real instruments. DJ’s were not allowed to play records all day long, real people had to fill in the gaps. This of course led to an unprecedented number of our favorite bands entering the Maida Vale studios to record songs for broadcast. For some bands this was only a fleeting visit, for others it was fairly regular gig. Depending on which show the band was recording would guide their choice of material. If a band were recording for John Peel and Top Gear for example they had more creative freedom than the daytime shows. Often the remit was ‘keep it short and keep it recognisable’. Often band’s would plug their latest single, while also recording some choice cover versions or try out a newly written song. The Onyx were BBC regulars. 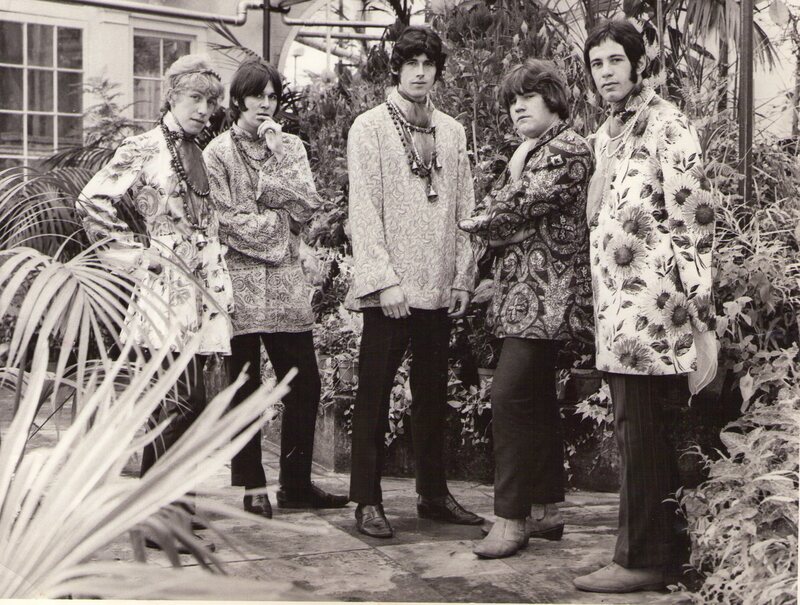 Having a formidable reputation as a covers band the BBC would rope them in, often once a month, often to record cover versions for broadcast (and occasionally a version of their latest single). 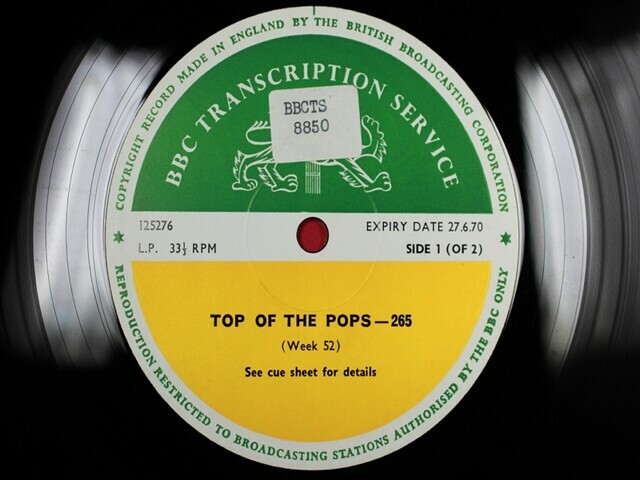 As most of the shows the band recorded for were mild daytime fodder (Terry Wogan, Terry Brandon, Jimmy Young, etc.) 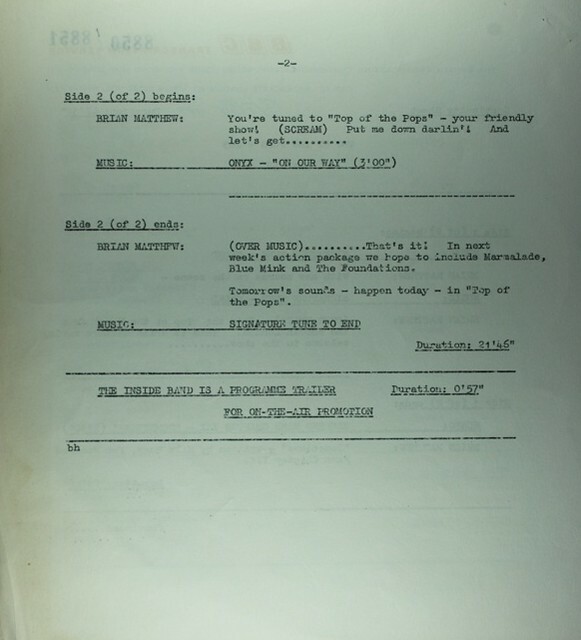 they often recorded hits of the day. A version of Good Vibrations also exists, but unfortunately t remains tucked away on a dusty old reel to reel. As well as in-studio session the BBC also hit the road and broadcast live sessions as part of the Radio One Club. Live from venues across the UK these gigs gave bands the opportunity to let their hair down, so to speak, without the constraints of performing popular three minute pop songs. Thanks to local entertainer, and one time Onyx superfan, Trevor Prisk (aka Trevor Fontaine), several Onyx Radio One Club shows still exist via rough and ready off-air recordings. Mainly consisting of covers, the tapes provide a rare glimpse of the Onyx in live setting. Dates are lost in time, but the first two are probably '68/69 and the final show will be '71/72. Here’s the setlists, along with some audio samples. Old Barn Club, Penzance, Cornwall. To wrap up the Onyx involvement with the BBC, here’s a list of sessions and transmission dates (thank you to Nigel Lee’s for supplying the majority of data). 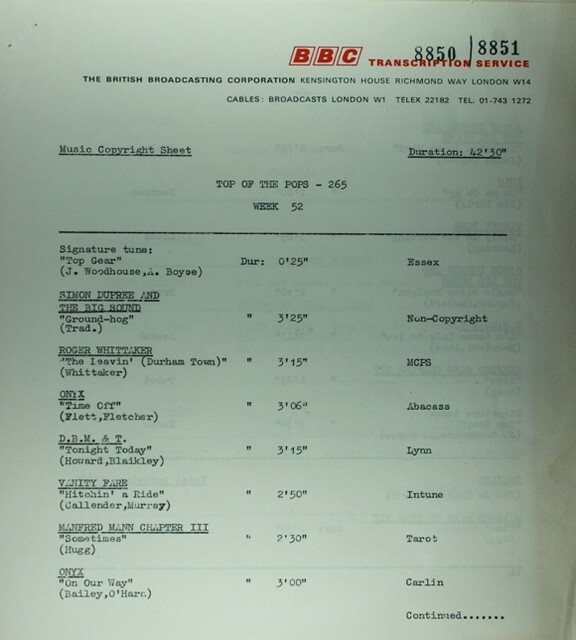 Considering the reputation the band had this must be an incomplete list, but it gives you some idea on busy the Beeb kept them! All listing are for The Onyx, Vineyard recorded no sessions with the BBC.